Thanks to its proximity to an abundance of beach-resort towns, hot summers and benign winters, international airport and ferries to the dreamy Balearic Islands and North Africa. The Costa Blanca is one of the more popular destinations for travellers to Spain; where you can pick up Alicante motorhome rental, campervan hire or RV rentals. Located right in the heart of Spain’s Costa Blanca and historically one of Spain’s oldest cities, Alicante was where the Carthaginian general Hamilcar Barca set up Lucentum more than 2,000 years ago so you will find plenty of ruins in and around the city. 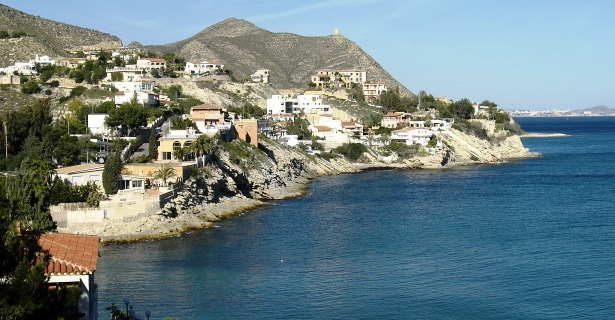 Costa Blanca is the ideal place to start a Spanish vacation by RV rentals or campervan hire. You will be able to follow the Carretera Nacional (N332) either north through Benidorm or south to Torrevieja, stopping at any or all the beautiful seaside villages in between. Driving north by RV rental in Alicante, you will pass through the village of Villajoyosa, loved by many for its old town and chocolate, before you reach Benidorm. Benidorm is a magnet for tourists and as such has many attractions like Park Terra Mitica which can provide hours of fun for all the family. A little north is the village of Altea which was separated from its beach and harbour by the building of the N332. Nonetheless, it is one of the few fishing villages along the coast that has otherwise been able to keep its old fishing village looks. Before you drive your Alicante motorhome rental farther up north, take time to stop by at Teulada about 30 minutes out of Altea. This little resort town produces the Moscatel grapes from which the refreshing and sweet Mistela is derived. Continuing to the north of the Costa Blanca, you will reach rustic seafood restaurants and the 1,000-year-old castle of Denia and the port town of Javea with its Medieval Church and cobbled streets in the shadow of Montgo Mountain. Travelling south along the coast, you will pass through many quaint fishing villages. One of the pleasures of having a campervan hire or RV rentals is following the Alicante Wine Route and being able to stop and try a local wine or eat at one of the many village restaurants. Abanilla, an hour south by motorhome hire in Alicante and a bit inland, produces one of those Alicante D.O. (designation of origin) wines. Driving to the far south of the Costa Blanca the huge salt lakes reveal themselves before reaching Torrevieja where there are beautiful sunsets over 900 private sporting boats and over 300 fishing vessels. Apart from having many beautiful beaches, Spain is also the second most mountainous country in Europe and your Alicante motorhome rental will allow you the freedom to move away from the coast to visit the impressive waterfalls of Algar located on a river near the village of Callosa de’n Sarria just 15 kilometres inland from Benidorm. Or perhaps you can visit the city of Elche which, as a village, dates back to the 5th century BC and today boasts being home to the UNESCO-designated 180,000 Palm Trees, the largest palm grove in Europe.